Aside from being a world-known tourist destination and the birth place of President Barrack Obama, let us find out how this island paradise came to be and how it ended up as the youngest state of USA. Little is known about Hawaii’s first settlers, who arrived around AD 500. Tahitians arrived around AD 1000 and for the next 200 years navigated thousands of miles back and forth across the ocean in double-hulled canoes. Ruled by chiefs, ancient Hawaiian society was actually matriarchal, and its religion followed strict laws known as kapu. By accident, famed British explorer Captain James Cook ‘discovered’ the islands in 1778. The first white Westerner to arrive, Cook was mistaken for the god Lono and treated like a deity. He stayed several weeks and then resumed his journey. When he returned to Hawaii a year later, his less-than-godlike ­behavior led to fighting and he was killed. Beginning in the 1790s, King Kamehameha, chief of the Big Island, conquered and united all the Hawaiian islands. He is credited with bringing peace and stability to a society that was often in flux due to wars and the power struggles of the ruling class. However, after his death in 1819 his son inherited the throne and, in a stunning repudiation of their religion, deliberately violated the kapu and ­destroyed the temples. As fate would have it, Christian missionaries arrived not long after, and in the midst of Hawaii’s social and spiritual chaos they found it relatively easy to ‘save souls.’ New England whalers also arrived, seeking different quarry, and by the 1840s Lahaina and Honolulu were the busiest whaling towns in the Pacific. Meanwhile, foreigners made a grab for Hawaii’s fertile land, turning vast tracts into sugarcane plantations. As there weren’t enough Hawaiians to work the fields, immigrants were brought in from China, Japan, Portugal and the Philippines, giving rise to Hawaii’s multiethnic culture but also displacing Native Hawaiians, most of whom became landless. In 1893 a group of American businessmen overthrew the Hawaiian monarchy. The US government was initially reluctant to support the coup, but it soon rationalized its colonialism by citing the islands’ strategic importance and annexed Hawaii in 1898. Hawaii played an infamous role in US history when a surprise attack on Pearl Harbor vaulted America into WWII. 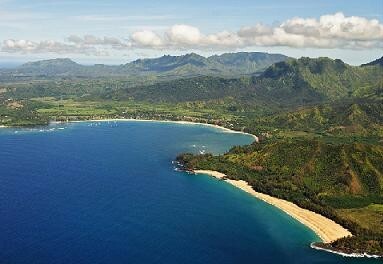 Hawaii became the 50th US state in 1959. In February 2009, Hawaii Senator Daniel Akaka reintroduced into the US Congress the Native Hawaiian Government Reorganization Act – aka the Akaka Bill. 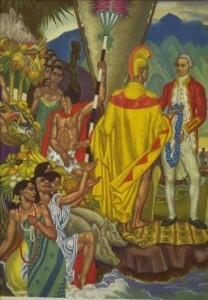 This seeks to establish the legal framework through which a Native Hawaiian government can be formed and thereby gain federal recognition of Native Hawaiians as the indigenous people of Hawaii. This would, in essence, finally put them on the same legal footing as the over 500 federally-recognized Native American tribes. Another key issue facing locals and politicians alike is that of Hawaii's fragile island ecology. Like a canary in a coal mine, Hawaii is sounding a warning about the need to adopt a self-sustaining island mentality. For half a millennium Hawaii existed in complete isolation and its people flourished; today the state imports over 85% of its food and fuel, and residents like to ask, 'Could we survive if the boats stop coming?' The answer, right now, is 'no'. But Hawaii sees what it must do to change, and there has been no greater validation of its perspective than the 2008 election of Hawaii-born Barack Obama as the 44th US president. As First Lady Michelle Obama has said, 'You can’t really understand Barack until you understand Hawaii.' For Hawaii residents, a lot of what that means is understanding the dynamics of a multicultural household and a multiracial heritage. A large part of the reason Hawaii was the last state to join the Union in 1959 was because of US political reluctance to embrace its ethnically mixed population. Now, 50 years later, President Obama’s calls for consensus-building and respect for diversity, his emphasis on renewable energy, his hopes to build a balanced economy that sustains all peoples and environments – these national aspirations also exemplify, and may in part arise from his upbringing in, Hawaii. Even before Obama's election, however, the state had begun developing a comprehensive sustainability plan – called Hawai?i 2050 – that, when passed, will be used to help guide the legislature in its decision making. As much as its specific proposals, the novel, statewide effort to define sustainability – agreeing to a vision of Hawaii’s ideal self and then establishing concrete ways of measuring it – is helping instill that ethic in every community. In 2008 Governor Lingle signed the Hawai?i Clean Energy Initiative (HCEI), which sets the goal of having a 70% clean energy economy by 2030. Hawaii is the USA’s most oil-dependent state (spending $7 billion annually on foreign oil), and it has the high utility bills to prove it. With HCEI, it’s now pursuing every renewable and clean energy option available – wind farms on Maui, geothermal and biomass on the Big Island, electric cars on O?ahu, in addition to remaking its electricity grid. If it succeeds, Hawaii would become the first economy based primarily on clean energy. While locals freely acknowledge all the challenges facing their state, they are also quick to add that they wouldn’t live anywhere else. Hawaii may be endangered, but it possesses a beauty and spirit that can be found nowhere else. Plus, if Hawaii can achieve a sustainable balance, it may do more than save itself. It may become a model for the nation.